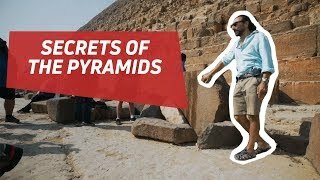 Nassim Haramein SECRETS OF THE PYRAMIDS - Resonance Science Foundation Gathering First ever Resonance Science Foundation gathering in Egypt. Nassim Haramein and a few incredible Egyptologists took the Resonance Academy team on a magnificent journey into the history of Egypt, ancient civilizations, ancient technology, and many lectures on the latest from the Resonance Science foundation. Attendees included Foster and Kimberly Gamble, William Brown, Chris Almida, Marshall Lefferts, Teresa Collins, Robert Grant and over 100 participants from 10 countries. 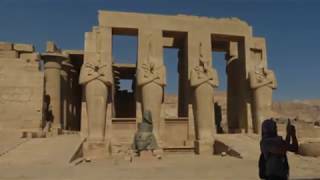 Resonance Academy Delegate Gathering - 1st Annual - Egypt 2017 The Resonance Science Foundation's online learning community in the Resonance Academy meets once a year at ancient sacred sites around the world for an in-person learning adventure. 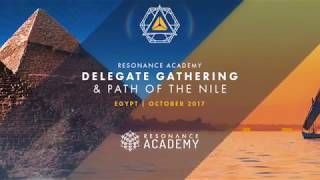 The 1st Annual Resonance Academy Delegate Gathering took place in Egypt in October of 2017! Discover the mysteries of Ancient Egypt with Nassim Haramein, the Resonance Academy faculty, special guests and like-minds from all over the world at the Resonance Academy Delegate Gatherings. Explore evidence of lost ancient technologies on a journey to sacred sites, visiting ancient megalithic structures, temples, and ancient ruins. 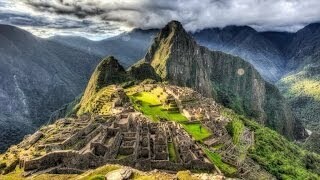 Enjoy breathtaking hikes, spectacular sunrises & sunsets, beautiful ceremonies and a full moon ARK® crystal meditation at Machu Picchu. Be immersed in the Incan culture as we connect with local villages, children, crafts, music, delicious food, historical traditions & amazing archaeological discoveries.